The new authorised Mi Store will officially be opened on 30 June 2018, Saturday, at 11:00AM. 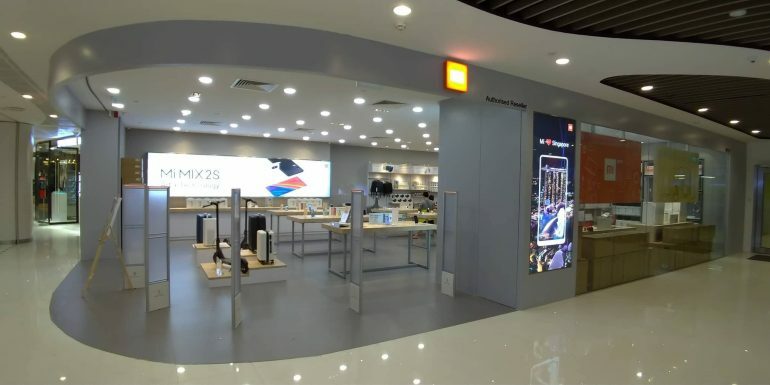 The 1,647 square feet Vivo City store, the largest Mi Store in Singapore, aims to cater to the surge in demand for Xiaomi smart devices and ecosystem of lifestyle products. Mi Fans interested in getting their hands on the latest Xiaomi smart devices and lifestyle products – including Mi Robotic Vacuum Cleaner, Mi Dual Driver Earphones, Mi Electric Toothbrush, Mi Toy Train Set and more – can start queuing from 09:00AM onwards at Vivo City B1-15. Mi and Redmi smartphones, Mi TVs and set-top boxes, Mi routers, and Mi Ecosystem products including smart home products, wearables, and other accessories. With presence in over 70 countries and regions, Xiaomi is expanding its footprint across the world to become a global brand. Era International is a Singapore-based fully owned subsidiary of Erajaya, Indonesia’s largest integrated importer, distributor and retailer of telecommunications devices. Established in 2015, our mission is to become a leading distribution and retail company with integrated direct access to consumers and retailers that offer a complete range of mobile products and solutions. Our team has an extensive experience in the mobile phone industry and was appointed by M1 Limited as an authorised partner to distribute and retail its suite of mobile products and solutions across six (6) outlets in Singapore in 2015. Most recently, we were appointed by Xiaomi as an authorised distributor to cater to the overwhelming demand for Mi products.